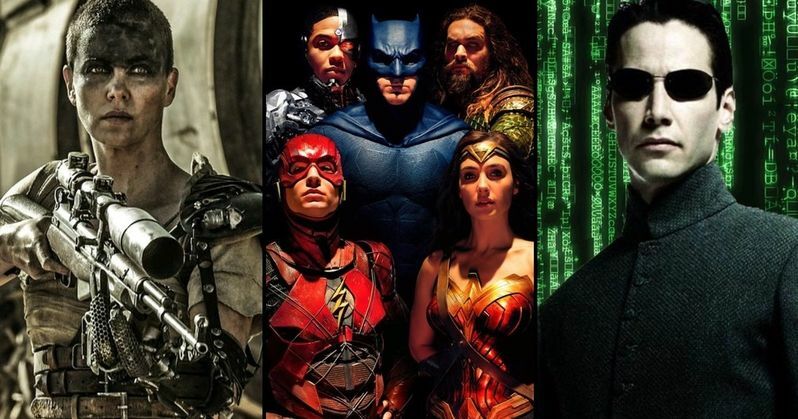 Kevin Tsujihara, the chief executive of film and TV at Warner Bros., has provided an update on the future of some of their biggest franchises. Easily the biggest, or at least most high-profile at the moment, is DC, which attempted to start its own cinematic universe with Man of Steel in 2013. As we all know by now, it was a rocky start, but things are looking up and much of that has to do with focusing less on connectivity. Additionally, Tsujihara provided a brief update on their desire to continue both The Matrix and Mad Max franchises. Warner Bros., like many studios, has become far more franchise focused in recent years. That involves looking at what IP they have and doing what they can with it. As such, things like The Matrix and Mad Max become potentially very appealing. Given the success Marvel Studios has enjoyed, much of the focus in the last handful of years has been on their handling of the DC universe. Originally, the studio was far more focused on trying to emulate what had been done in the Marvel Cinematic Universe. No longer. As we've seen with both Wonder Woman and Aquaman, audiences just want good (or at least not outright terrible) movies that stand on their own. If they can work in a shared universe, so be it. Kevin Tsujihara has learned this lesson and feels their upcoming slate will further cement what they've learned. Here's what he had to say about it. "The upcoming slate, with Shazam, Joker, Wonder Woman 1984 and Birds of Prey, feels like we're on the right track. We have the right people in the right jobs working on it. The [DC cinematic] universe isn't as connected as we thought it was going to be five years ago. You're seeing much more focus on individual experiences around individual characters. That's not to say we won't at some point come back to that notion of a more connected universe. But it feels like that's the right strategy for us right now." It's about going with the hot hand. Aquaman has grossed more than $1 billion globally. Imagine what a great Superman or Batman movie could possibly do in this marketplace? As the Warner Bros. executive further explained, much of this started with director Patty Jenkins and what she was able to do with Wonder Woman. "What Patty Jenkins did on 'Wonder Woman' illustrated to us what you could do with these characters who are not Batman and Superman. Obviously, we want to get those two in the right place, and we want strong movies around Batman and Superman. But 'Aquaman' is a perfect example of what we can do. They're each unique and the tone's different in each movie." Outside of comic book movies, there are a couple of other huge franchises that the studio is still very interested in continuing; The Matrix and working with George Miller on a sequel to Mad Max: Fury Road. With the former, there have been discussions about a prequel, or something of the like, that would maintain the franchise continuity. On the latter, Miller was stuck in a legal battle with the studio, but there are rumors floating around that the dust may have settled. Here's what Kevin Tsujihara had to say. "We have incredible franchises on the features side such as The Matrix. We'd love to work with George Miller on furthering the Mad Max franchise." So, unfortunately, not much of an update on either of those. At least the desire is there, though. Opinions on a new movie in The Matrix franchise vary, whereas it's hard to imagine anyone who wouldn't want a sequel to Mad Max: Fury Road at this point. This news was first reported by Los Angeles Times. Matrix Prequel Wants Michael B. Jordan as Young Morpheus?